Posted on Goodreads on July 15, 2017. Romance has a rather specific formula that a writer has to adhere to. It’s about two people meeting and falling in love, there’s a conflict somewhere that’s resolved and they live happily ever after. Much like a fairy tale. Yet unlike a fairy tale, as adults, we want more. We want the atmosphere, the good food, the nice things, the back story, the big house and the good life. We want a really good story. But it’s not always possible to get a good story; one that can keep you enthralled from beginning to end, making you want to keep reading and reading, not skipping through pages to find the end. 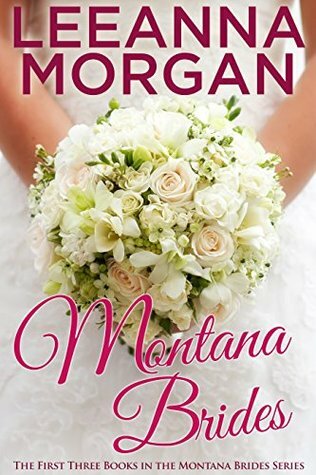 When I got the three book boxed set of the Montana Brides Series by Leeanna Morgan I was expecting to be skipping through chunks of pages to get to the end. But I was in for a surprise. “I’m the man you’re looking for.” says Trent to a jet lagged Gracie who has just arrived in Montana sans her luggage, and he proceeds to make sure he is just the man she’s looking for. It wasn’t just the story of Gracie and Trent, although that itself was appealing and very unusual. It could have been two other people, having the same issues that Gracie and Trent had living in another part of the world. What was fascinating was the way it was presented. The characters were very real, even the minor ones that made small appearances. The situations the characters faced were portrayed well and the dialogues were believable and not strained. The humor and jokes were well thought out. The story flowed effortlessly across the pages and all too soon it all ended. I didn’t care much for Forever in Love, the second book, but I was hooked on the third, Forever Afterwhich was also quite interesting and had the same intensity of language and plot as Forever Dreams. The women in both stories were not portrayed as weak and helpless, waiting for a man to pick them off their feet. They were strong and independent with a mind of their own and they didn’t need a man to make them complete. Nor were they willing to take any insults or abuse by the men they were in love with. It was refreshing to see that when the conflicts were resolved and all the misunderstandings explained Gracie and Trent and Nicky and Sam accepted each other as equal partners in their respective relationships. Morgan had made a lot of effort to create her world, and that showed. What was also of significance was that all three stories were set in the same place, in Bozeman, Montana and some of the characters made their appearance in all three books, or were at least referred to. Missing from the stories was a map of Bozeman, Montana giving the reader another peek into the lives of the characters and place they called home.